Aloha Samhain lovers. It's that time of year again where all fashion consciousness goes out the window and we go wild and crazy. Or least that's how it should go! Last year you may remember I embraced my geek and went as a Star Trek Red Shirt. 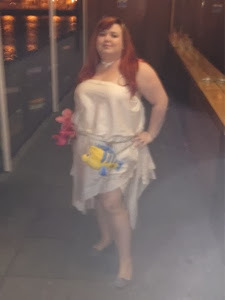 I survived, thankfully, and this year I embraced my child side and went for a Disney theme! 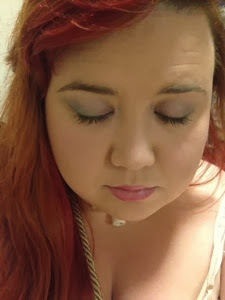 I went for Aqua & Pinks on my eyes but kept my make up fairly clean looking. Ariel wasn't caked in makeup & neither would I be. 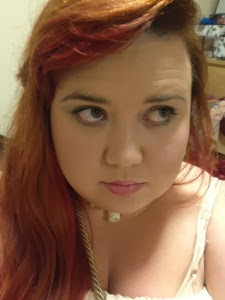 I'll be honest the inspiration came at my last hair appointment when my friend described my new pink & copper locks as Mermaid Hair! 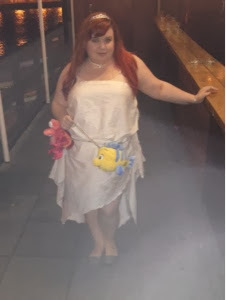 Who didn't want to be Ariel as a child? Who doesn't now?!? Well I definitely did and do so it was decided. Did I apologise for the blur yet? Oh well. 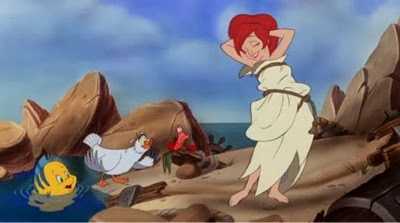 This is, of course, Ariel's sail dress just after she loses her voice (like me!) and becomes human (I have always been human). The "dress" is a set of Asda curtains (perfect for that canvass/sail look) I bought for £15. I hemmed in some elastic for the waistbands and stitched them together to create 2 bandeaus, tore up the ends of the skirt in an A-symmetric style and then tied curtain rope to act as a belt. 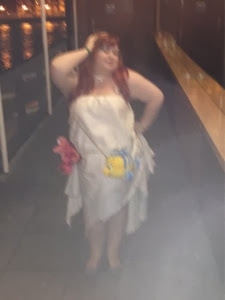 I also used the off cuts to create a shawl but by this stage I had given up caring about my bingo wings and tucked it round the back of my skirt! So that's the dress, now on to accessories. Here's where the squeamish Disney purists might hate me. 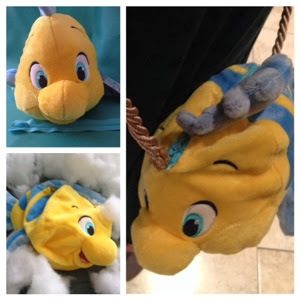 I gutted my Flounder plushie, created a lining and sewed it & a zip in to create possibly the greatest handbag ever. We all have that problem at Halloween where we have to decide to either sacrifice the look of our costume for a handbag or go as minimal as possible. This wee fella meant I was able to carry a few essentials (money, keys, phone, lippy) without sacrificing my look. And now I get to keep him forever! 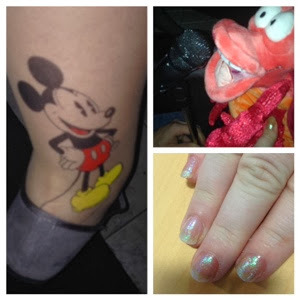 We finish with some cute Disney tights (Primark £5), Mermaid nails (NFU OH 40, Inglot 203 & 204 layered and topped with Séche Vite) and not forgetting wee Sebastian to sing us a song. So that's my Halloween 2013 look! Definitely one of my favourites. It may also feature in future Cosplays (Hiya Belfast ComicCon!). So what are you guys dressing up as?